"Trumpeter continues their series of BIG 1/35 helicopters with a Hip-H! This kit features fully detailed engines, cockpit, landing gear and rotor head. Engine hatches, cockpit overhead hatch and forward boarding hatch can all be posed open. With a little ingenuity, the cockpit side windows and rear clamshell doors should also be able to be positioned open. Markings are provided for 3 aircraft, one each from Slovakia, Czech and (of course) Russia. Park it next to your Trumpeter Hind!" 3. 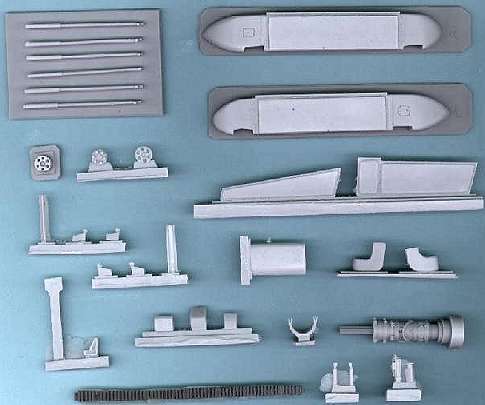 While we are still waiting for the new 1:48 Academy CH-46E Sea Knight to become generally available, and beginning to wonder about the delay, news has come from a source close to Academy that they are now test-building pre-production mouldings of the HKP-4, KV-107, and CH-113 variants. 5. Twobobs Aviation Graphics now plan to have their next batch of decals ready for the 2004 IPMS/USA National Convention, to be held in Phoenix, Arizona from August 4th to 7th. 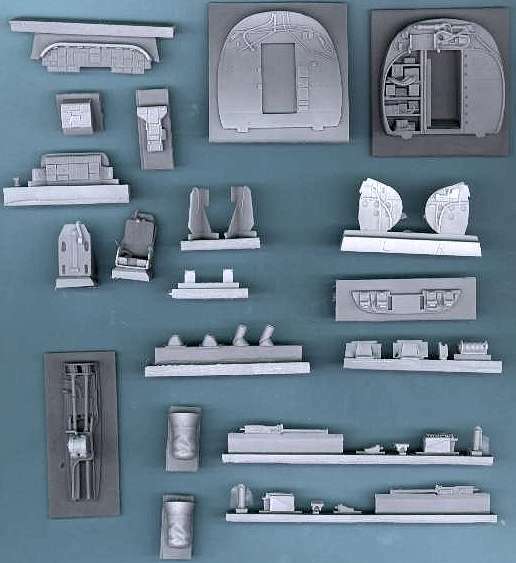 This selection will include sheets in 1:48 for Operation Iraqi Freedom Longbows, and for the CH-46E (which hopefully will have materialised by then). 6. 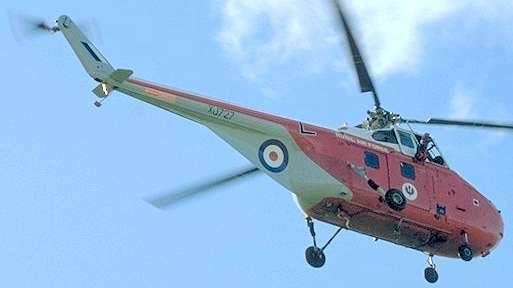 Linden Hill will be adding markings for an Armenian Mi-24RKhR Hind-G1 to their forthcoming "Bush War Hinds Part 2", hopefully without affecting the proposed July release date. This mark of Hind was designed for NBC clear-up work, being equipped with various additional nose and pylon-mounted sensors, air sampling scoops, and devices on the wingtips for taking soil samples which could be recovered in safety and then analysed in the cabin by a specialist crew. 7. Whirlybird have now published their second sheet of decals for the RAF Shawbury No.2 FTS Whirlwinds. WB72022 is for the HAR.10 in the later CFS scheme of white, red, and light aircraft grey (see also HKN #187, item 5). Agusta A-109A Hirundo & Belgian Army versions (for the Revell Military and Rega kits), comprising new undercarriage, nose, engine bays and tail boom, armaments, and detailed cockpit. Decals will be for the Argentine Army (Malvinas / Falklands), some Italian ones, and Belgian Army. May all be in one set, or two different ones. Sikorsky S-58T conversion set for the Italeri / Revell H-34D. This will include a complete new nose and engine mount, with decals for Thailand, Argentine Air Force, and the Los Angeles County Sheriff's department. Mil Mi-24 Hind-A/B conversions sets for the Monogram 1:48 kits. These will include a complete new nose with interior and vacform canopy, new tail and rotor, and stub wing / missile mounts for the B version. Decals will include Russian, Libyan, Afghan, and Algerian options. All questions about these three sets to Pablo Ziegler please. Thanks to Arnold Chiu (Anigrand Craftswork), Guy Holroyd (Linden Hill), Chris Miller (Cobra Company), Pablo Ziegler, Skip Robinson, Pete Tasker, and Shuichii Manei.